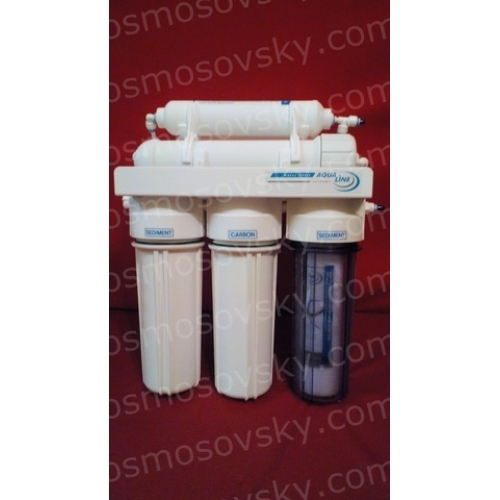 Reverse Osmosis Filter with a mineralizer. Execution of a standard, a typical 10 "cartridge. The flasks are sealed filter in two planes. 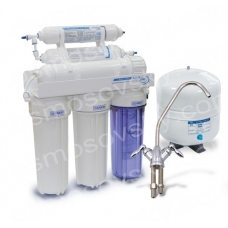 The reverse osmosis filter Aqualine RO-6 water passes 6 stages of preparation. First, on the three pre-filter from the water removed mechanical impurities and chlorine. 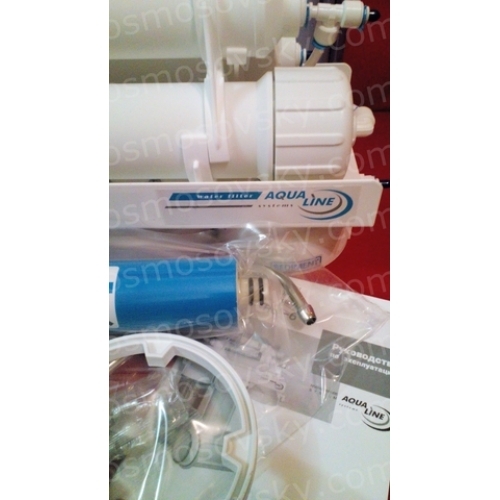 Then, using a semi-permeable reverse osmosis membrane Aqualine TW30-1812-75 water is actually water; everything else is washed into the drainage. With carbon post-filter drinking water are removed from the remnants of the dissolved gases, water is given a mild taste. A feature of the system Aqualine RO-6 is a mineralizer. After a full desalting of water on the membrane, the water gets in mineralizers set of minerals and trace elements needed by the body. For the convenience of the consumer and conserve mineralizer filter reverse osmosis Aqualine RO-6 is equipped with double-tap drinking water - for cleansing and for purified brine. It should be noted that saturated water mineralizer should stand for some time; accordingly, distinctive taste is only the first portion of 150-200ml of "mineral" crane. For the next portion of mineral water, wait until the water sated composition of minerals. Just purified water and you can select parrallelno in unlimited quantities. 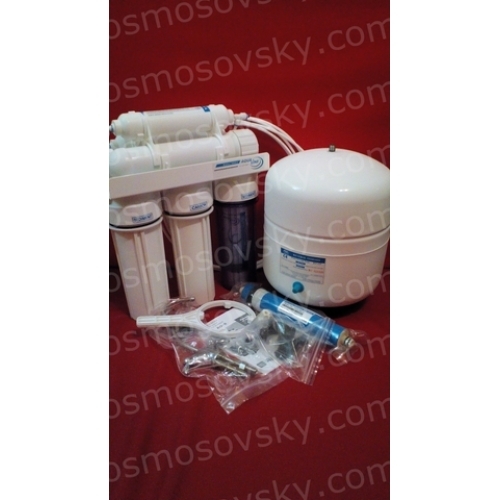 Buy a reverse osmosis filter Aqualine RO-6, you can place your order on our website or contact us in any convenient way for you.